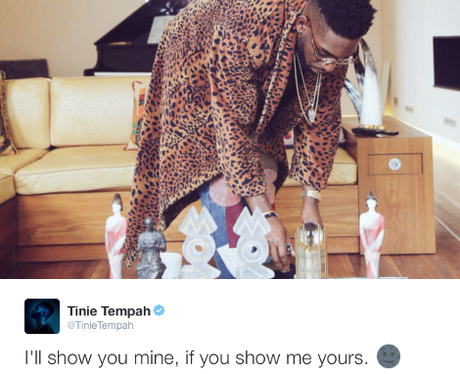 Well, when you're Tinie Tempah, what else are you gonna do, but show off all your awards? 6. Well, when you're Tinie Tempah, what else are you gonna do, but show off all your awards? We're not gonna lie, when we say the caption, we thought this post was going to be a lot cheekier. We're relieved/disappointed that it's just a snap of his TONNES of accolades.